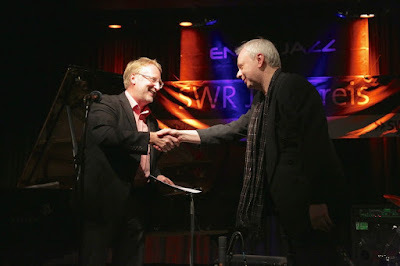 Pianist / composer Georg Graewe, orignlly from Bochum, has just received the Jazz Prize jointly awarded bv the Rhineland-Platinate region and by broadcaster SWR. The prize is the longest-running in Germany, now in its 35th year, and worth EUR15,000 to the recipient.The ceremony was held last night in Ludwigshafen as part of the Enjoy Jazz Festival. 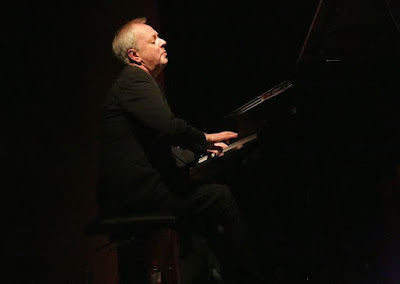 The citation singled out Graewe's extensive musical output in general and the development of a distinctive personal style, and also his profound influence over many years on the rising generations of young musicians who work on the borders of jazz, improvisation and the contemporary avant-garde. He also presented contrasting facets of his musical world in each of the two halves of the concert. In his solo set, his improvisations brought a range of textures, fragments and rhapsodies, but with an anchor of tonal and structural centres underneath. 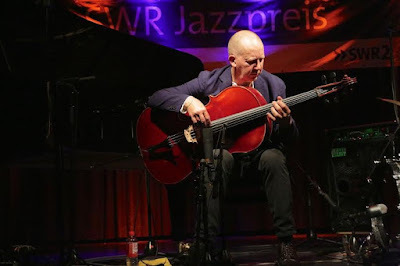 In the second half he joined by the cellist Ernst Reijseger and drummer Gerry Hemingway – their trio has existed for 26 years. Their set was compact and full of energy. Their familiar ways of communicating with each other led to a captivating and delightful spontaneity. This was music beyond category, imbued with drama, energy and, above all, with freedom.